« 8:00pm: Does It Make Sense to Spend Shabbos at the Ohel? 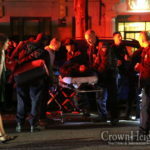 Two people suffered gunshot wounds after shots rang out on Lefferts Avenue on Sunday evening, with many witnesses in the area and prayer services just ending at a Shul across the street. 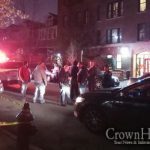 A man and a woman suffered gunshot wounds, one to his leg and the other to her chest, after a number of gunshots rang out on Lefferts Avenue near Albany Avenue at around 8:30pm. 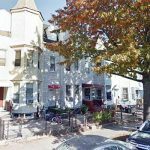 Witnesses said that two or three people walked up to the front door of 669 Lefferts Avenue and opened fire, striking two people inside, then fleeing the area. One of them was observed wearing a “do-rag”. Police called a level 1 mobilization and opened an investigation. Residents on the block expressed concern over the shooting taking place just across the street from Beis Eliyahu Nochum, where dozens of men were partaking in evening services. Your right, it was corrected. No. People may and should have guns, to protect themselves and their families. Beheimos like the one described in this article should not. Unfortunately, what ends up happening with gun laws is exactly the opposite – the law-abiding are left defenseless, while the criminals ignore the laws and remain armed. It was necessary in this case. As a drug dealer, you never know what could go wrong – so you need to have a gun. As a drug buyer, the same applies. Yup, let’s ban guns that are already banned.